When something goes wrong with your vehicle outside of regular business hours, what are you supposed to do? With several towing companies closing down for nights and weekends, it might seem like you’re out of luck. If everyone is closed, does that mean you’re stuck? 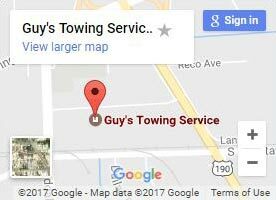 Fortunately, Guy’s Towing Service is open 24 hours a day for emergency towing services in Denham Springs. We’ll head over to you as quick as we can so you aren’t stranded any longer than you have to be. What if I’m nowhere near home? One of the most stressful emergencies is when you’re far away from home and your car stalls, leaving you stranded. You’re unfamiliar with the area and hundreds of miles away from home. What do you do? At GTS, we’re here to help. We’ll try roadside assistance first. If that doesn’t work, not only will we get your car to a local mechanic who will help you out, but we’ll also take you to a hotel of your choice so you can wait out the repairs. We always make sure you’re okay! When most people think of emergencies, they’ll think of the typical situations; car accidents, being stranded out late in unfamiliar territory, and so on. But at GTS, there’s one emergency we watch out for that many people don’t consider; choosing to drive home impaired. This is especially prominent during the holiday season with all of the late-night parties that involve drinking. That’s why our emergency towing services includes FREE rides home for you and your car if you’ve had a little too much to drink during the holidays. In the more than three decades we’ve done this, over 1000 drivers have helped keep the road safe by taking us up on the offer! 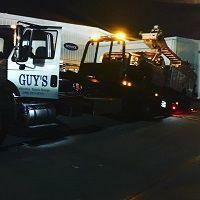 Depending on your specific needs for a tow truck, we’ll send one of several types out of you. We commonly send light duty trucks, but also have medium duty, heavy duty two trucks, and specialized equipment as well. A light or medium duty truck should handle any kind of residential vehicle. This generally extends to motorhomes, RVs, and other large vehicles as well. 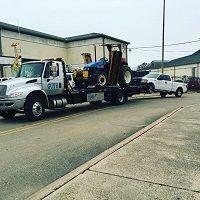 Heavy duty tow trucks are reserved for commercial vehicles such as tipped semi trucks. Our airbag recovery system and powerful cranes make it a cinch! We also have specialized vehicles available such as Peterbilt trucks and Landoll trailers. These will make sure everything gets where it needs to be. Don't forget to check reviews! Before calling for emergency towing, make sure customers have good things to say about the company on platforms such as Google and Facebook. Call us today! 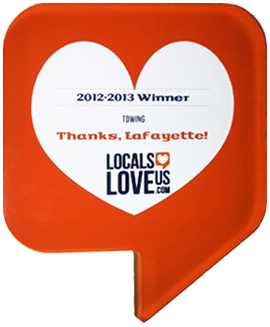 We go above and beyond for all of our customers! No matter what time it is, you can always call the office for help. 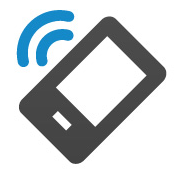 We’ll take down your information like location and vehicle details. Next, we’ll send an appropriate truck so you can be done with this quick!